Check out Luke Chueh’s newest vinyl figure, Bruised Lee!!! Produced by VTSS, Bruised Lee is based on a painting of the same name Luke created for a Bruce Lee group art show. It’s a killer mash-up of Chueh’s sad depressed bear with Bruce Lee's classic yellow jumpsuit from movie The Game of Death. 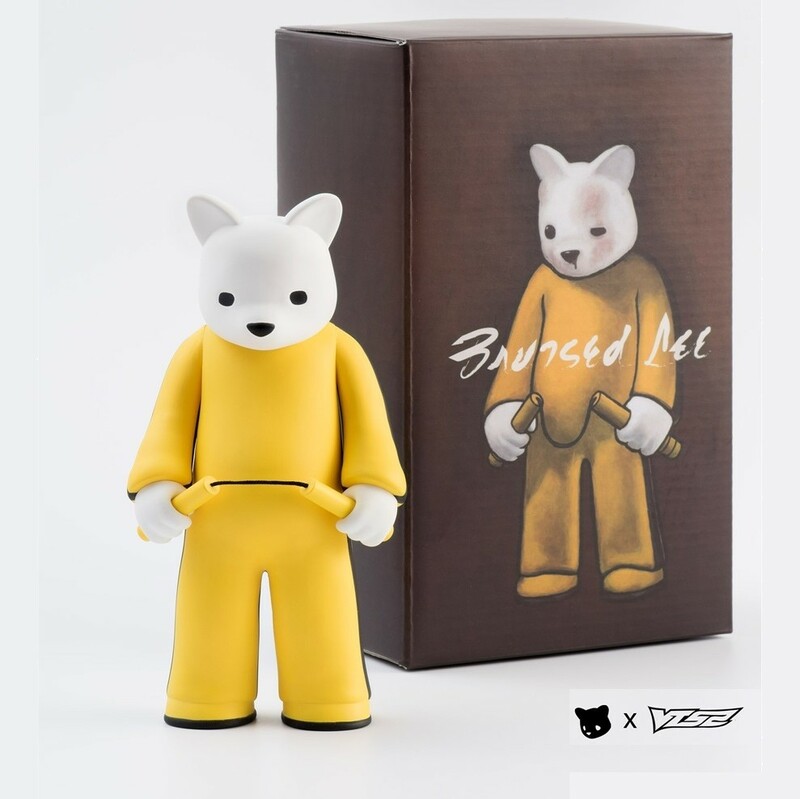 For it's first colorway, Bruised Lee is being released in an Unbruised Edition that comes without his signature bruised face. 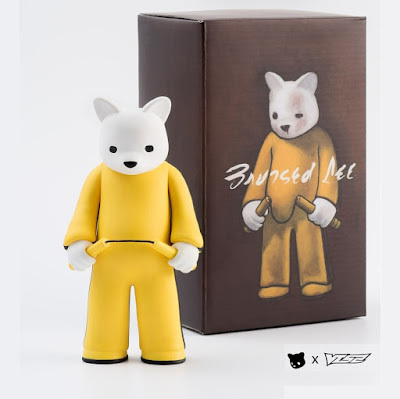 The Bruised Lee Unbruised Edition vinyl figure by Luke Chueh stands 6.3” tall, features 3 points of articulation (head and arms) and includes a pair of nunhcuck. Limited to just 500 pieces, collectors can purchase this new figure now at the VTSS Toys online store for $100, which includes free worldwide shipping.